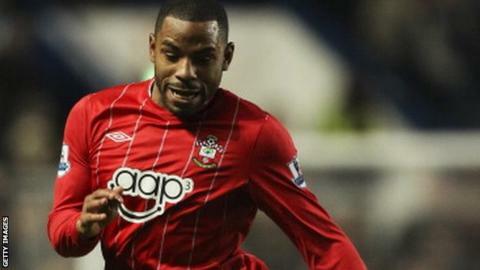 Southampton winger Jason Puncheon has signed a new contract with the Premier League club until 2016. The 26-year-old joined the South Coast side from Plymouth in 2010 and has scored six goals this season. "The club has a vision of playing European football - that's why I've signed and stayed on," he said. Saints manager Mauricio Pochettino was pleased to conclude the deal, saying: "He has been very impressive for the club this season." Puncheon was loaned out to Queens Park Rangers last season, but returned to St Mary's in January 2012 and played his part as the Saints were promoted to the Premier League. He has been a regular in the team this season - scoring crucial goals in victories over Aston Villa, QPR, Reading and Manchester City. "It's a weight off my mind, so now I can look to the future," added Puncheon. "The club has a vision of playing European football - and we want to get there as soon as possible. "I believe that can happen and they believe I can be a part of it and so do I.